You are here: News / Unapologetically is here! It’s here! 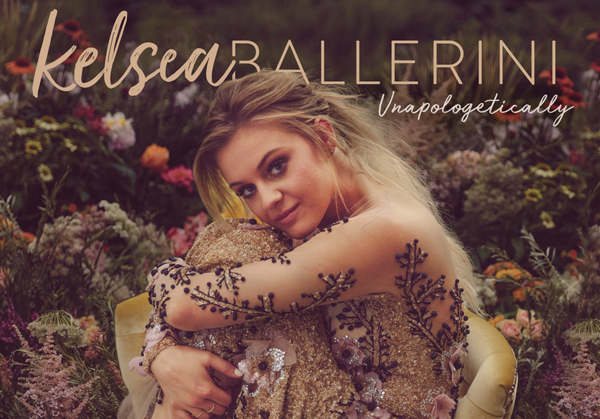 Kelsea’s much-anticipated sophomore album, 'Unapologetically,” is available now! Produced by Forest Glen Whitehead and Jason Massey – in addition to Shane McAnally, Lindsay Rimes, and Jimmy Robbins on select tracks – Unapologetically spotlights 12 songs written or co-written by Kelsea. Penned with “blood, sweat, and heartbeats,” the successor to her critically acclaimed, GOLD-certified “The First Time,” exposes the intimate journey of loss, life, and love that Kelsea has experienced since her history-making debut album. I might have just done a happy dance after seeing your Album. Oh My Gosh!!!!!!!!!!!!!!! I LOOOOOOOOOOOOOVVVVVVVVVVVVVVEEEEEEEEEEEEEEEEEEE IT!!!!!!!!!!!!!!!! I Cant Stop listening to it!!!!!!! Can't stop listening to album. I am obsessed. best album of all time. it’s been on repeat and i’m obsessed. ?? OMG!!! I am in LOVEEE...!! with the new album its the best yet Kelsea Ballerini!! Amazing album. The first track “Graveyard” is not the typical first track on an album; left me with goosebumps! Totally relatable on an entirely different level. Awesome job, keep it up! beyond proud of you. you put so much work into this album & it's perfect!!! love it kels! ???? so amazing...so proud!! totally obsessed w this album!